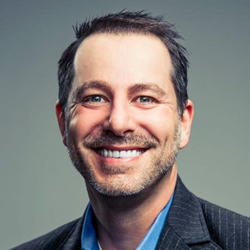 Go-to-Market veteran Bill Macaitis joins advisory board of Continuous Performance Management software company that helps top businesses improve engagement and maximize their talent. For any leader that thought there was a better way to do 1-on-1s, goal setting, and self reviews, you were right! Bill Macaitis, a go-to-market veteran who's worked for 3 of the fastest growing SaaS companies ever, announced today that he has joined the advisory board for performance management solution, 15Five. Macaitis began pursuing his passion for advising high-growth startups after working as CRO for Slack, CMO at Zendesk, and SVP of Marketing for Salesforce. With 5 successful exits to his name, Macaitis brings a wealth of knowledge on successfully scaling hyper-growth cloud software companies. Customer success is a trademark of Macaitis's marketing philosophy, and Slack, Zendesk, and Salesforce are consistently ranked as companies with great customer service. At Slack, he promoted deep tracking of NPS (Net Promoter Score) and CSAT (Customer Satisfaction), and scaled the customer support team to a global presence with 24/7 coverage, 99% CSAT, and multi-channel support. Macaitis developed the brand strategy that differentiated Zendesk as a customer-loved customer service software, leading them to a $1.78B IPO by growing revenues 362% in two years. As SVP of Marketing at Salesforce, his global online marketing and operations team helped scaled revenues from $900M to $3B. Macaitis joins other well-known advisors like Simon Sinek, Hiten Shah, and Ryan Holiday on the advisory board. With his added guidance,15Five is positioned to pave the way to the top of the performance management category, triggering a new wave of how companies engage their employees—and how those employees delight their customers. 15Five is a continuous performance management solution that helps employees grow and develop, in just 15 minutes each week. Through a lightweight weekly check-in, 15Five delivers everything a manager needs to impact employee performance, including continuous feedback, objectives tracking (OKRs), recognition, 1-on-1s, and reviews. 15Five is the #1 performance management software out 144 vendors on G2Crowd, with over 1,300 forward-thinking companies using the solution to bring out the best in their people. Founded in 2011 by David Hassell, 15Five is based in San Francisco with offices in New York City and Raleigh, and is backed by leading investors, Matrix Partners and Point Nine Capital. For more information, visit 15five.com or follow them on Twitter @15Five for updates on their mission to unlock the potential of every member of the global workforce.